Entering Idyllwild on Wednesday morning. 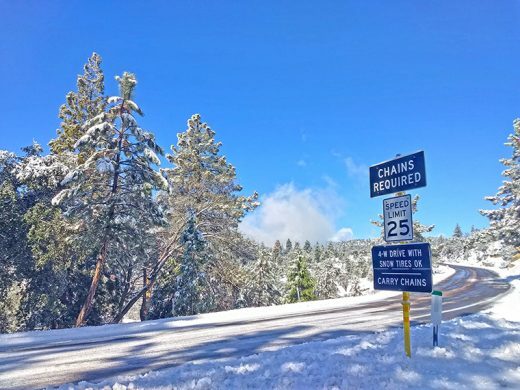 Cal Trans has issued chain control requirements for highways 243, 74 and 371 in the mountain areas. For the latest road conditions, check: http://www.dot.ca.gov/cgi-bin/roads.cgi.